A memo from Roni’s lawyer explained that Roni had asked cafeteria workers to stop stamping the hands of children who couldn’t afford lunch once she discovered the practice. After cafeteria workers continued stamping children’s hands, Roni met with the food services manager and other school leaders. According to the memo, everyone agreed that the stamping practice should stop and the food services manager resigned. But only three weeks later, Roni was contacted by a grantparent (sic), Evelyn Bernstein, who was upset that her grandchildren were getting their hand stamped, even though they qualified for free lunches. NOTE: It has been reported that other schools in the Denver area notify parents when their children don’t have money for lunch instead of stamping their hands. 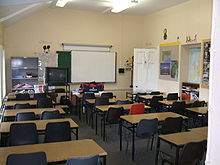 Unlike traditional public schools, however, a charter school is allowed to set its own policies. Souper Bowl of Caring. Now that takes the cake, (from the children that is). Of course there had to be some meaningless gobbledygook crafted by these people to whitewash what was really going on. They probably spent more time sitting around some table for hours and zero time thinking of the ramnifications of their insensitivity to the children they claim to be benefiting. Stereotypical Bureaucrat Wonks. I bet they have mission statement too. I think the embarrassment and shame that these children suffered should be compensated…..
Two state senators are paying a visit to an elementary school in Salt Lake City on Thursday, after reports emerged that the school had served meals to dozens of students — only to throw them away after a cashier confirmed their accounts had an outstanding balance…. Others noted how the note about the controversial handling of the students’ debt had come on the heels of a post about its campaign to fight child hunger, called Souper Bowl of Caring. I had another name to call the people that made this horrible decision, but I don’t think WordPress would allow it. I bet those kids learned a valuable lesson about the adults in charge at that school. The cafeteria workers and this so called “Child-Nutrition” manager were acting like jackasses. Yep, take a balanced meal right away from the children because of their parents’ alleged balance due. Throw it in the garbage afterwards. One has to question the mission of these so called education employees. Imagine throwing food in the grabage instead of giving it to children. One has to wonder why the cafeteria workers did that. Petty and mean-spirited is right! We are becoming a petty, mean-spirited nation of neo-Randians. Elaine, that is incredibly shameful! What is wrong with some people, what happened to that inner voice that tells you something is wrong? Or perhaps the cafeteria workers were afraid of losing their jobs if they refused. So the food was thrown in the garbage, while the children went hungry. Parents are angry with Uintah Elementary in Salt Lake City after workers took lunches from up to 40 kids with unpaid balances and threw them away, several media outlets reported. Salt Lake City District spokesman Jason Olsen told the Salt Lake Tribune that parents with balances were contacted via phone Monday and Tuesday. They weren’t able to reach all parents before the child-nutrition manager decided to withhold lunches to deal with the debts. I am Spartacus indeed! I love BarkinDog’s idea. I also love the idea of getting rid of the for-profit and charter schools. They are allowed to get rid of students who challenge them and they often don’t accept children who require special educational assistance. And, yes, I read that more and more of these schools refuse to teach evolution, promote Christianity and separate the two genders. The kids need to start a Solidarity Movement. A high school kid, older brother can replicate a rubber stamp from a stamped hand of a kid. Then all the kids can stamp their hands in the morning before they go in. Put the stamp on the back of the school bus, on bathroom walls, in the teacher’s hiding room. I will second Elaine’s second of JK’s statement that it is time we brand war criminals and banksters instead of poor children getting free lunches.